Welcome to The Backlog. In 2017 I’m going to be attempting to play every game in my library I haven’t gotten to yet and documenting it here. Wish me luck. 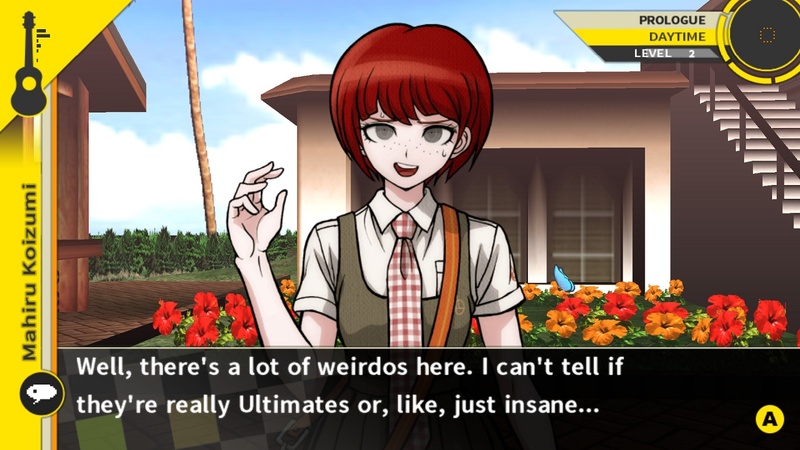 Danganronpa is one of those utterly bizarre games that just immediately clicked with me. Phoenix Wright was my introduction into the strange world of Visual Novels, a world where the name of the game was reading, and while I do love the genre I generally like them better when they’re mashed up with another. Danganronpa, a series I grew to love so much that I can finally spell it without consulting google, is a perfect example of this. The first game centers on a group of teens who are trapped, Battle Royale-style, in their high school. They are being held there by a adorable-yet-deadly teddy bear named Monokoma (the de facto mascot of the series) who will only allow them to “graduate” if they kill one of their fellow students and get away with it. Once a body is found and your investigation of the scene of the crime is complete, you have to undergo a trial. Here your fellow students will make statements about what happened and you will have to use “truth bullets” to literally shoot holes in their arguments and reveal who the real culprit is. If you don’t, the murderer gets to escape while the rest of you are killed. That description only gives you a tiny hint of how insane and strange the game is, mostly because each student has their own special talent. You’ve got the ultimate martial artist, the ultimate writing prodigy, the… ultimate biker gang leader. (Every school needs one?) 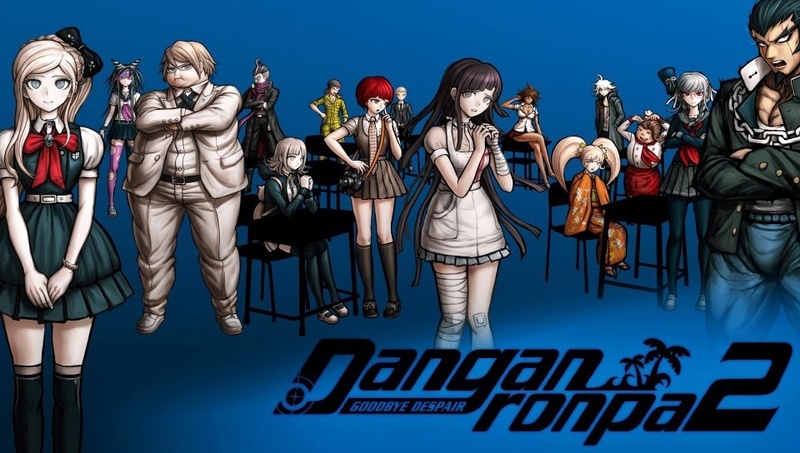 As they try to join together and fight against the ultimate despair the body count increases, and the murders get more and more elaborate and tricky to figure out, and thus even more wacky and fun. I absolutely loved the first but gave up on Danganronpa 2: Goodbye Despair for about a year after a game-killing bug, one of those wonderful moments where a game freezes on you after it’s been hours since you last saved. I always knew I would return to it since this was after I already put in 20 or so hours, but it was hard to go back to it after losing my progress. 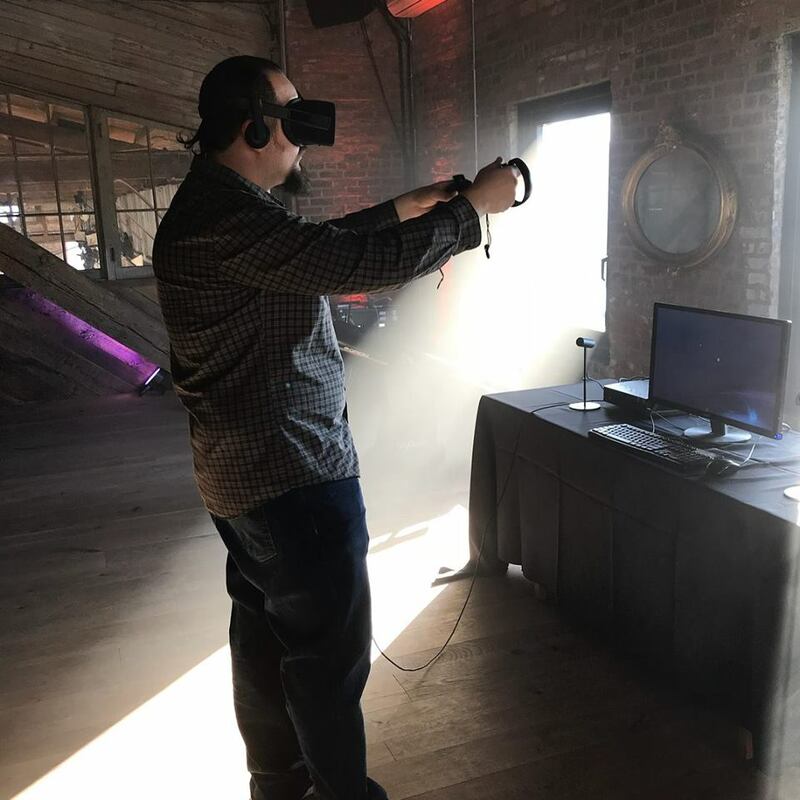 Up to then I had been enjoying it, especially as it changes the setting to a wonderful island paradise you can traverse as students once again start killing each other. This time they’re joined by an alleged teacher named Usami, who is a rabbit like Monokuma and thus untrustworthy. The same deal applies here- if you manage to kill someone and get away with it you’ll leave the island, otherwise you’re stuck there for life. I’m glad I went back to finish the game but wow, what an ending. It’s hard to wrap your head around. I enjoy the first a lot more- the story is a little more compact and less convoluted, but the second adds a lot more to the mythology of the world. I don’t want to spoil anything, but there is a reason that these people are trapped here in this murder game. Danganronpa 1 + 2 have been released on Steam and are getting a PS4 bundle in March, with the 3rd installment hitting later this year. There is also a spinoff game I have yet to play (must… keep… away… from…buying… games) called Danganronpa Another Episode: Ultra Despair Girls which is an action game centered around two of the more famous characters from the series. Because this is a popular Japanese series, there’s also manga, anime, music, and all kinds of other goodies associated with it if you get really obsessed with the series. But as for the games I still don’t think anything beats the PS Vita format- there’s just nothing like carrying it around and playing it like you’re reading a paperback. These are really incredible, fun, stories and I really can’t wait for the third.